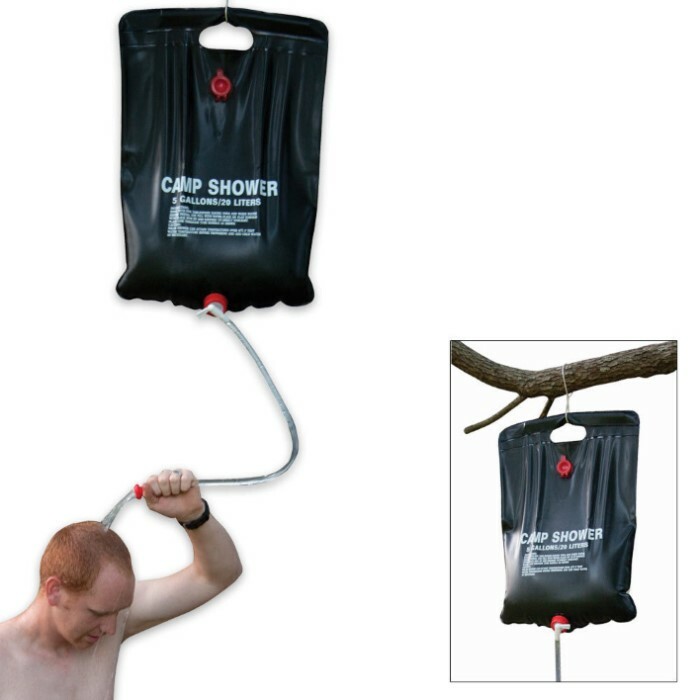 5 Gallon Solar Camp Shower | BUDK.com - Knives & Swords At The Lowest Prices! This Solar Camp Shower is perfect for the outdoor enthusiast! It works great when hung from a tree or by a rope. Glad i got this item. its all black and will heat the water in the sun if i need hot water while camping. The bag itself is thick and high quality i dont think you have to worry about leaks at all with this gem.